Thank you to Melanie Moore (Board Member of the Highlands Historical Society in Edmonton) for sharing this important piece of history. 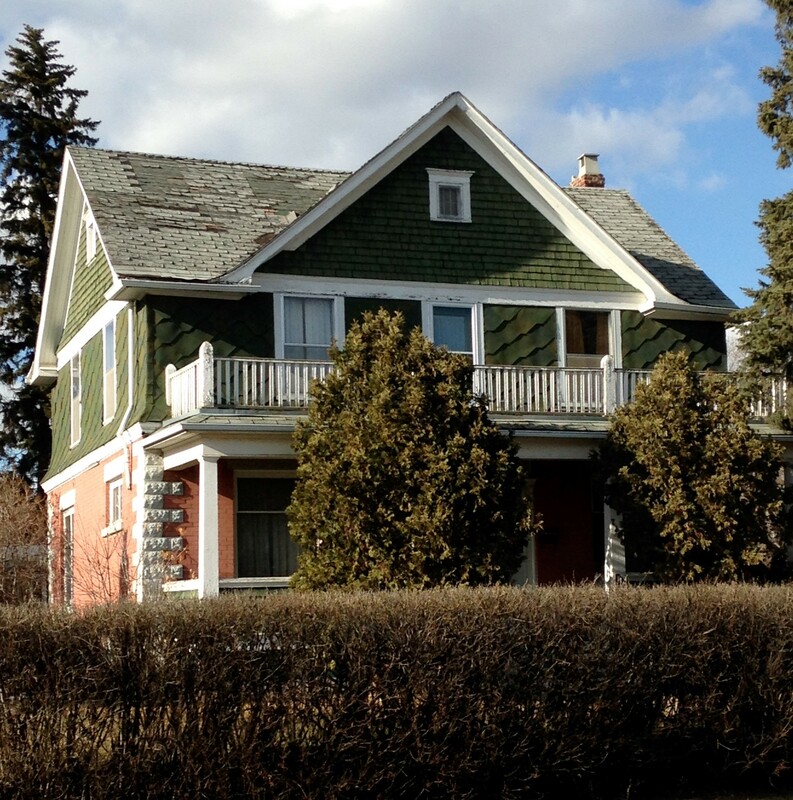 There is an old house in the Virginia Park neighbourhood of Edmonton, on 73rd Street and Ada Boulevard. Now empty, it has seen better years. The shingles are coming off, the paint old and faded, the yard overgrown. When asked about the house, neighbours knew little of its story. Kirkness House, Edmonton, 2018 (photograph by Melanie Moore). Farming in Alberta has been shaped by a deep and layered history of geological, biological, and human forces. This article takes us back to the beginning. Farming is based on a sliver of soil that caps kilometers of sediment and bedrock. To understand how our fields first formed, we need to read an ancient geological story of how Alberta has been raised and tilted then scoured and capped over time. Alberta has sat inside a continental plate (or ‘craton’) for over 300 million years. Around 180 million years ago, the western edge of this plate began crunching to form the up-and-down terrain of the Coast Mountains of British Columbia (B.C.) and the Rocky Mountains between B.C. and Alberta (Figure 1). Mountain building finished about 50 million years ago. Figure 1. This is a bedrock map of Alberta and B.C. “Bedrock” refers to the stony basement below our modern soil and loose sediment (gravel, sand, and silt). B.C. is striped with colour because its bedrock is made of diverse chunks of land called terranes that got repeatedly mashed against a moving continental plate that Alberta lay within. One product of this mash-up (‘accretion’) was mountain building (‘orogeny’). Creation of the western mountains forever shaped the development of soils and agriculture in the Prairie Provinces (map by Todd Kristensen with bedrock data from the USGS 2015). How do we know about past environments? Historic and precontact archaeological and palaeoenvironmental sites from across Alberta tell us much about people and past environments. But how can we learn the details about that environment? This blog post will tell you how we use environmental indicators, especially macrofossils, to reconstruct what conditions were like at sites in the past. This post was originally published on RETROactive on March 6th, 2012 and again on August 26, 2015. Interest in grain elevators remains strong, so a revisit seems in order. Some additional data has been added, an updated list of communities with elevators can be accessed below, as well as a variety of resources and documents relating to Alberta’s Grain elevators. The twentieth century saw the rise and fall—literally—of the wooden country grain elevator in Alberta. As rail lines spread across the province in the early 1900s, grain elevators sprouted like mushrooms after a spring rain. The height of wooden country grain elevators was reached in 1934. New ones continued to be added until the 1990s, but with increasing numbers being demolished, these icons of the prairie became scarcer. Today, the remaining wooden country grain elevators number only about six percent of the maximum reached in the 1930s. Check out the following “index” of Alberta’s wooden country grain elevators, called “elevators” for short in this article. Stavely grain elevators, 1920 (Image: Provincial Archives of Alberta, P659).